Jefferson Santos grew up in the Richardson, Texas, attended Texas Christian University and played football at the Naval Academy. Jefferson is like many home based business owners who just decided one day that he wanted to be in charge of his own career. However, at age twenty he was $1,100 negative in his banks account, $70,000 in debt and decided he was in need of a change. Through guidance, self improvement and commitment he turned his dream into a reality. Jefferson is now a multi-million dollar earner and has a sales team of over 150,000 people in 30 countries and it continues to grow everyday. He has taken over 75 vacations in the last 48 months with his wife and he wants to help others experience this amazing lifestyle! Can you imagine what it would be like to have the freedom to travel just about anywhere in the world and make money at the same time? Your success as a home based business owner is just ONE decision away. 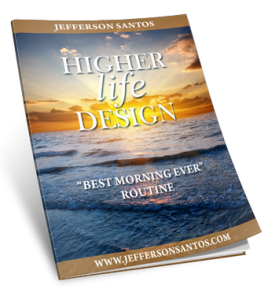 Enter Your Name and Email Address for a Free Productivity Guide! How mistakes can work in your FAVOR! What comes first: Success or confidence?